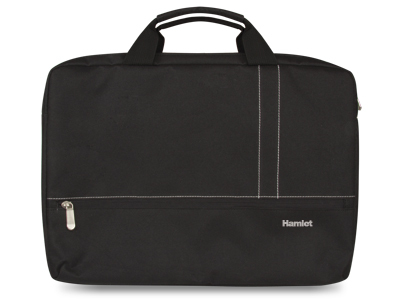 XNBAG173ST: Smart Travel Notebook Bag 17.3"
Hamlet Smart Travel is a slim and compact bag designed for Notebook and Ultrabook up to 17.3". Wide zippered pocket on the front with inner organizer. The inner main compartment is padded to provide a perfect protection of the laptop. Designed for laptops up to 17.3"